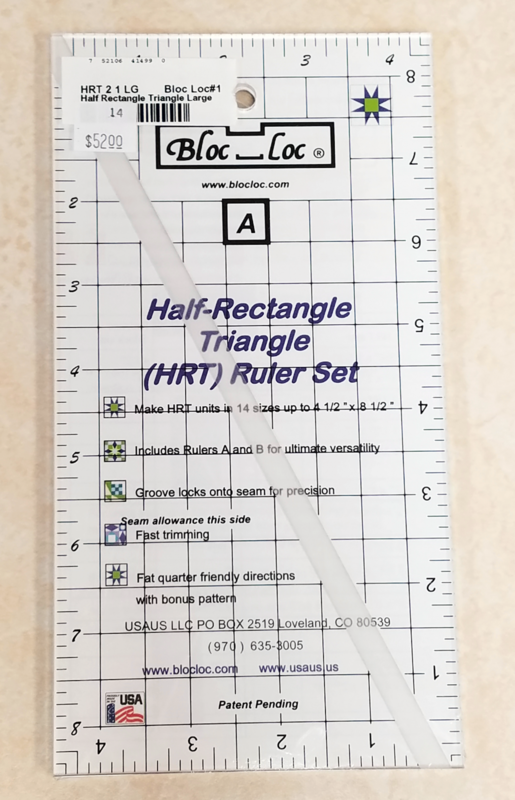 Bloc Loc's Half Rectangle Triangle Ruler set includes 2 grooved rulers in a 2:1 Ratio. The 2:1 ratio is the industry standard for quilt patterns. Each ruler measures 4.5" x 8.5" and can be used for any size HRT unit smaller than the rulers. Trims 14+ sizes of either single direction or mirror image divided rectangle units.